They say that a joy that’s shared is a joy made double, which is why we’ve decided to share these seven unique and beautifully crafted websites with you. We’re sure they’ll make you smile, too. Coming across a beautiful website can almost feel like finding a pot of gold at the end of a rainbow. There are so many sites out there, but not all of them make the cut for our perfectionist, high standard designer eyes. That’s why, when we identify outstanding web design, we believe it deserves a mention. Last month, we launched the Wix Stunning Awards 2018. We asked users worldwide to share their websites with us for a chance to put their brands in the spotlight and win a tailor-made campaign, fully produced and supported by Wix. 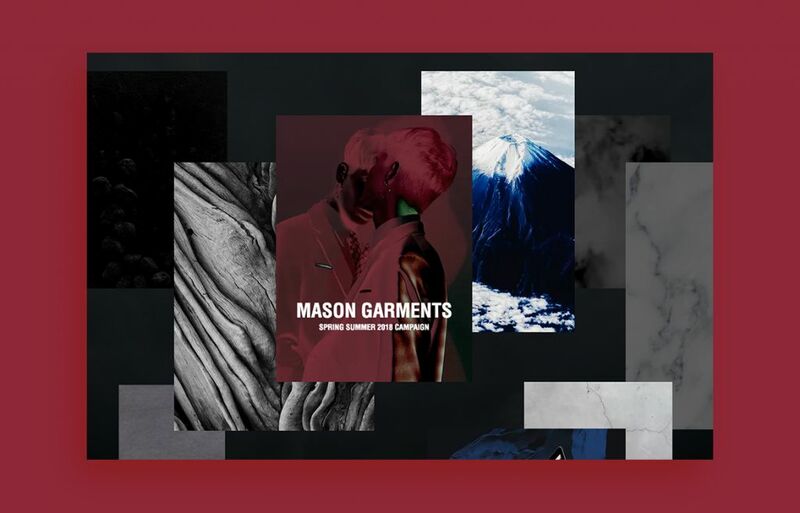 After receiving nearly 100,000 submissions from a range of creatives from around the globe, our panel of experts have handpicked three highly talented winners, as well as a collection of finalists that you can explore in this showcase for some web design inspiration. Here are seven mind blowingly gorgeous websites that we just couldn’t keep to ourselves. Enjoy. If you were to open up a designer’s brain, it’s possible that you would find something like this. 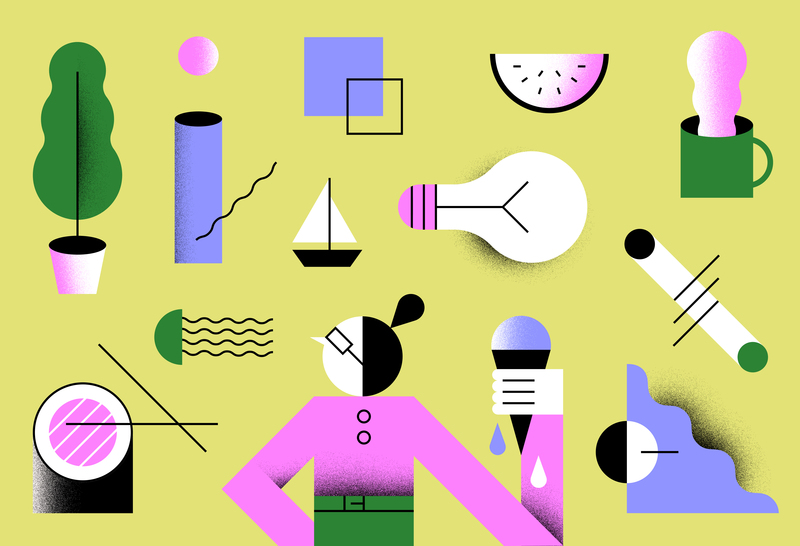 In this personal portfolio, seemingly random witty snippets and collage-like images are layered one on top of another, forming an exciting assortment of visuals that somehow work together perfectly. It’s not just your eyes and minds that are in for a treat – graphic artist Tomo Qi has also included some entertaining audio in his truly unique ‘About’ page. Take a look and a listen for guaranteed creative inspiration. When browsing an online store feels more like viewing a portfolio, you know the designer’s done something right. 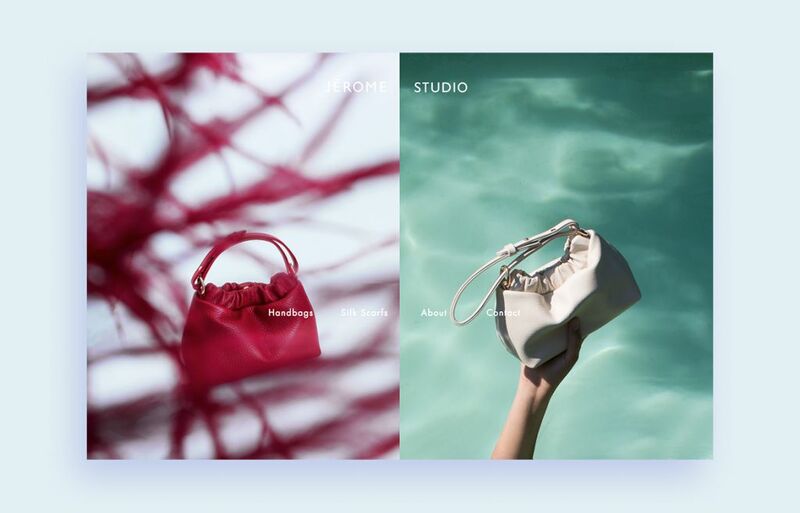 Each of Jérome’s impeccably designed bags and scarves are photographed in a highly creative and appealing way, making them seem somewhere in between pieces of art on a podium and items you’d love to get your hands on. We especially love the golden shimmering animation that adds a discrete touch of motion to the page. Don’t forget to take a look at the ‘Shipping & Returns’ page, where a mesmerizing video awaits. Photographer, designer and art director, Calvin Pausania, knows how to build suspense and get his site visitors intrigued. A black screen with a strong emotive sentence greets you on the homepage. When entering the portfolio, you’re faced with a subtle fullscreen video of drifting clouds. This chic vibe continues on the inner project pages, as a combination of beautiful visuals, videos and sounds slowly glide in. What’s more is that Calvin also has a collection of outstanding Wix websites that he’s created for others, including this one for creative director and designer, Amber Park. Hint: click on the images and move them around to create your own compositions! Here’s another online store that makes entering it feel like opening a treasure chest. 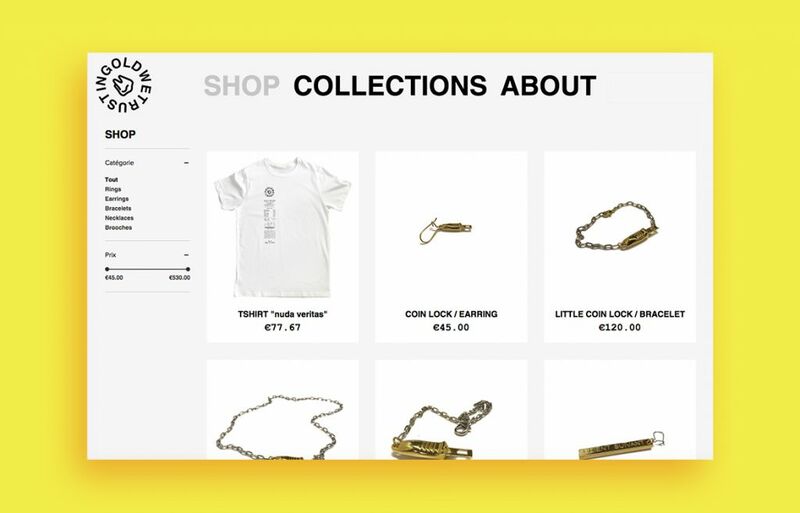 The fullscreen video plays automatically on the homepage, arousing curiosity and drawing you into a fascinating visual story of busy city streets, eerie retro clothes shops and faded market scenes. Once you arrive to the next page of the website, you’re faced with a clean design and unique array of jewelry. Everything by this Parisian brand is perfectly thought out, from the animated logo, to the interactive product photos that you can play around with, moving and rotating them to create your own compositions. 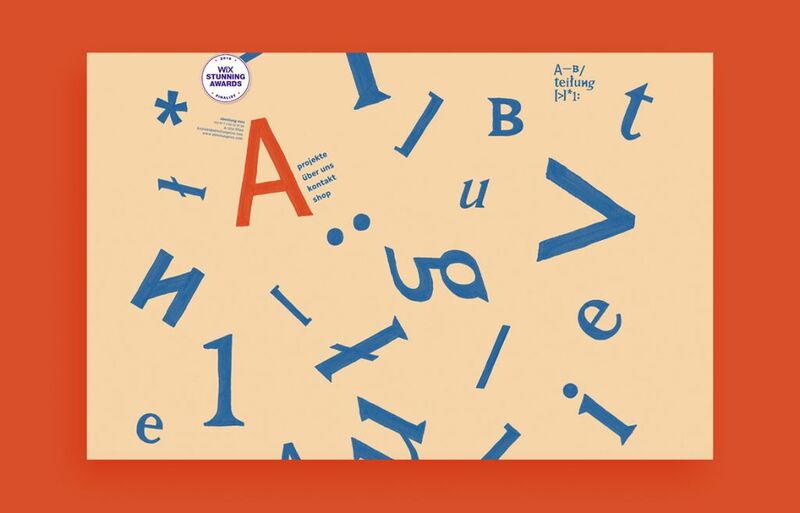 If you don’t already know German, it’s worth brushing up on your skills to read this multidisciplinary design studio’s heartwarming and witty ‘About’ page (as well as all the other text on their site!). They’ve used hover effects in a truly original way, merging hand lettering with the digital world on the homepage (as well as elsewhere – keep your eyes open when browsing! ), creating a personal, intimate sensation. This sensitive attention to detail can also be found in their selection of beautiful projects, from branding, to book and packaging design. 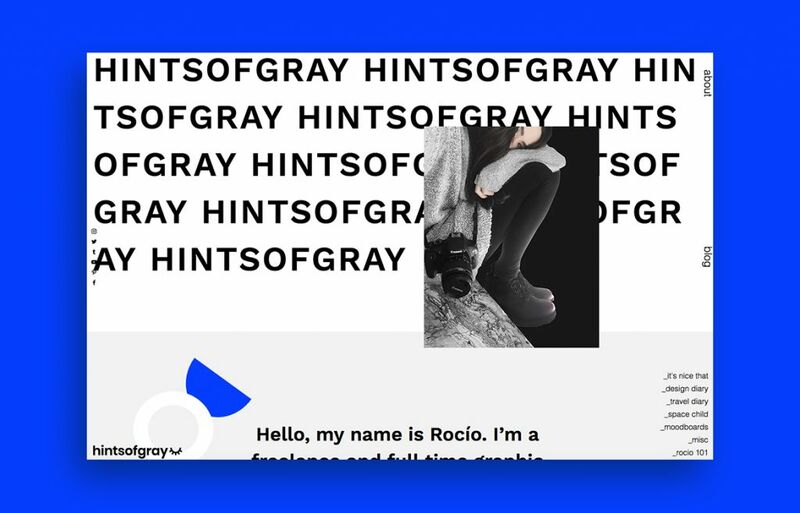 Rocío, a freelance graphic designer and the mind behind the Hints of Gray blog, is clearly a professional when it comes to aesthetics. With a soothing, mostly monochrome palette, plus a few touches of primary colors, she creates a clean and approachable design. Her blog posts are also a fun, interesting read, accompanied by pretty collages and absolutely pixel-perfect photos. With these spot-on compositions, any of us could benefit from a few Instagram tips from her. 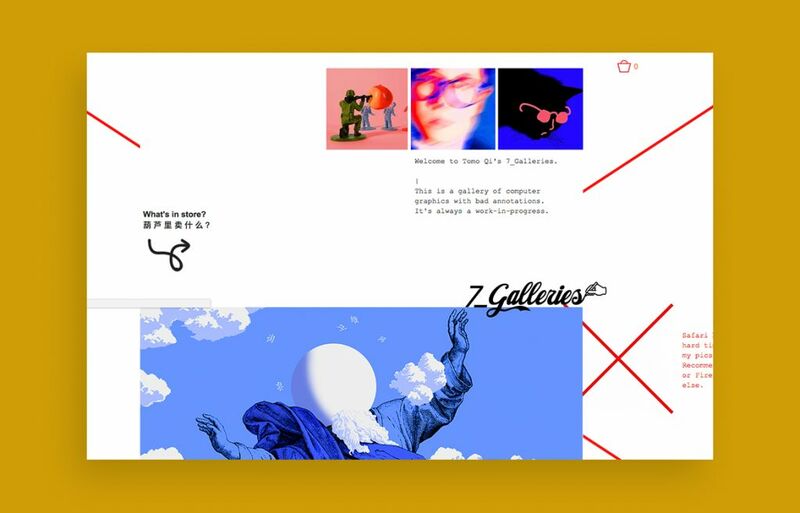 This illustrator and animator’s website is a true burst of fun and energy. Not only will you fall in love with the adorable characters, but there’s a real personal touch with the illustrated icons on the menu and the handwritten logo. This playful vibe continues in the use of colors and animation, and is balanced out with a simple layout and white background. The best thing about it? 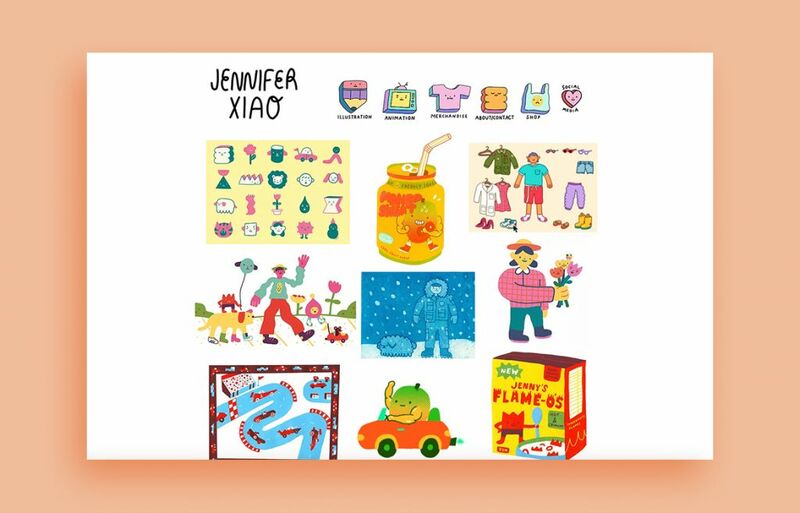 Jennifer Xiao has a lovely collection of merchandise, so you could even have these gorgeous illustrations in your own home. Yes, please. Want more web design inspiration? Explore more beautiful websites in the Wix Stunning Awards gallery.